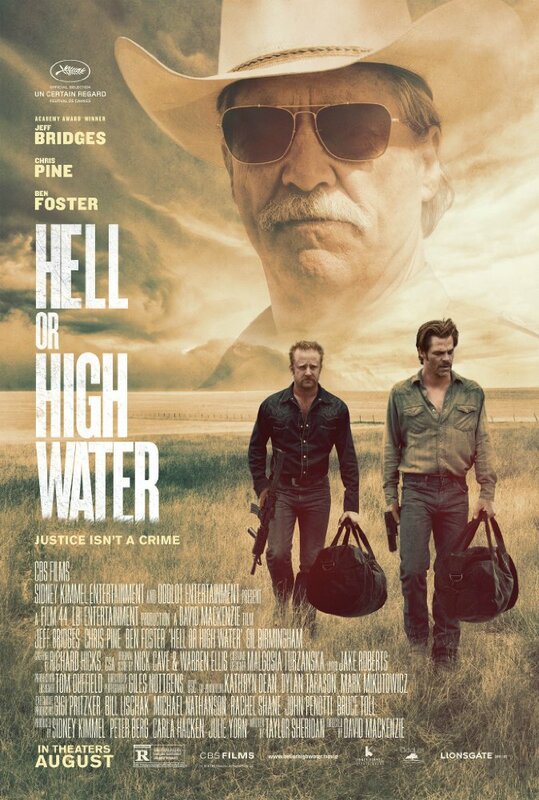 Hell or High Water was directed by David MacKenzie from a screenplay written by Taylor Sheridan (Sicario). 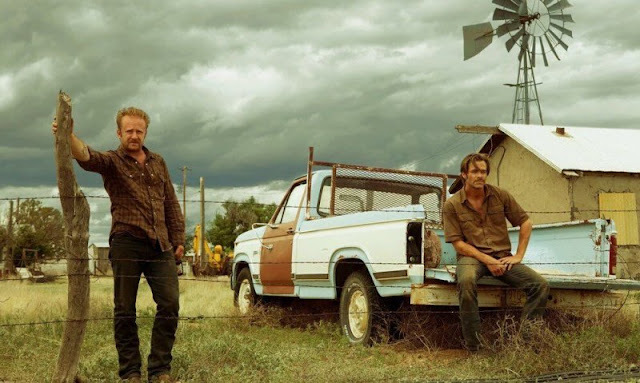 The film, starring Chris Pine, Ben Foster, Jeff Bridges, and Gil Birmingham, follows two brothers as they execute a scheme to keep from losing their family ranch and the pair of Texas Rangers who are hot on their trail. David McKenzie has put together a very interesting film with several layers of context and content including the bond between brothers, the current state of depression era economics, and how traditional American values and beliefs have become antiquated and outdated. Set against the desolate and dusty backdrop of West Texas, you can actually feel the heaviness of hardship which is the foundation and function of what is essentially a classic tale of cops and robbers. 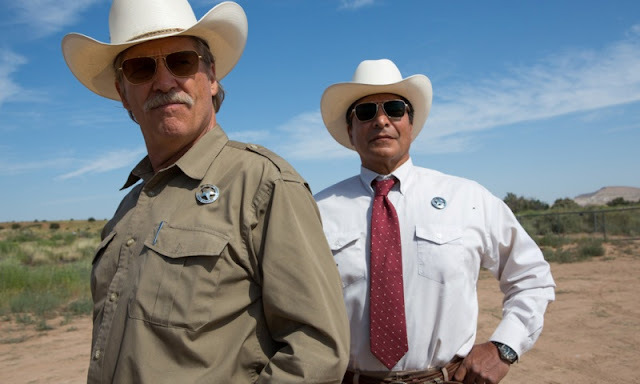 The primary characters are paired up and placed on either side of the law with Ben Foster and Chris Pine as bank robbing brothers who are being tracked and hunted by a couple of aged and grizzled Texas Rangers played by Jeff Bridges and Gil Birmingham. While you know Jeff Bridges is going to be spot on as an ornery lawman ready to retire, I was actually most impressed with Chris Pine who shed his normal gloss and swagger for a raw, intimate performance that I feel is the best work he has ever done. The down to earth honesty he settles his character into is a perfect paradox to Ben Foster's wild and reckless abandon and you really, truly believe in the duo as brothers who have known and cared for each other their whole lives. Going back to Bridges, I would definitely say this is one of his more entertaining performances and he pairs up really well with Birmingham giving the impression the two lawmen they portray have the type of mutual respect that can only come from years of working together and having seen more of life and death than anyone ever should. Hell or High Water is a gritty, honest portrayal of the modern human condition as it plays out inside the pain and poverty that has had an ever growing hold on middle America. Every frame of this film is beautifully shot, the acting is top notch across the board, and the story is dramatic, well thought out, and acts as a snap shot of what life is like for a lot of people in this country today.